It is a Lamborghini like no other before it: a four-door sports car that sticks resolutely to its heritage. The Lamborghini Estoque concept has everything that defines a Lamborghini: extreme, uncompromising and unmistakably Italian, it brings a whole new versatility to the brand’s DNA – with its four seats and ample luggage space, this “everyday sports car” is a perfect fit for an equally versatile lifestyle. Estoque is a study, a concept designed specifically for the 2008 Salon d’Automobiles in Paris (Paris Motor Show). From the very first glance there can be no doubt that this is a Lamborghini – a car with compelling presence, both unique and unmistakable. The long wheelbase, the low profile, the broad track, the mighty, accentuated wheels, the clean surfaces and razor-sharp definition – every single line 'breathes' the spirit of the Lamborghini brand. The Estoque is an entirely new interpretation of the Sant’ Agata design ethic: it is a concept that provides a clear indication of the future. This applies to the new, elegant self-confidence of the lines themselves, but even more to the concept of the vehicle. 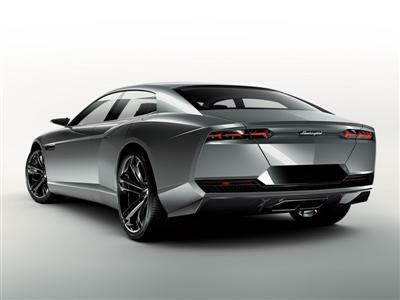 The Estoque is the first sedan in the history of Automobili Lamborghini, although “sedan” is more a reference to the number of doors than any other characteristics. Even sports sedan is an inadequate classification: the Estoque establishes a new category of super sports sedans. With a powerful front mid-engine, permanent all-wheel drive and a sophisticated, precision-tuned chassis, the Estoque boasts a unique technology package. The Lamborghini Estoque is the perfect travelling companion, be it en route to business meetings, the theatre, the golf course, the church on the Sabbath or even a trip away with the kids. It is the only car that allows you to share the singular driving pleasure of a Lamborghini with more than one person – possibly even with the whole family. And there is still enough room left over for weekend luggage. Despite its extremely low profile – at a mere 1.35 metres (4.43 feet) high – the Lamborghini Estoque is surprisingly spacious. The secret lies in its very long wheelbase which, in spite of the rearwards positioning of the front mid-engine, enables a relaxed, sporty seating position. Entering and exiting is also pleasingly straightforward through the large, wide-opening doors. The Lamborghini Estoque is a thoroughbred sports car with exceptionally refined power delivery, razor-sharp precision handling and a 'meaty' engine tone. Challenging driving pleasure on a winding mountain road, followed by a relaxed, enjoyable journey along miles and miles of motorway – the Lamborghini Estoque is commanding across the entire driving spectrum, at the highest level. The Estoque’s versatility makes it the perfect addition to the range of Lamborghini super sports cars. The proportions of the Lamborghini Estoque are simply fascinating: no other automobile combines so convincingly the elegance of length with the sporting attributes of a low profile and impressive breadth. Or to put it into figures – the concept painted in an all-new colour, is 5.15 metres (16.89 feet) long and 1.99 metres (6.53 feet) wide, with a height of only 1.35 metres (4.43 feet). The wheelbase is a stately 3.01 metres (9.88 feet) – an equally important element of elegant vehicle architecture. The bonnet of the Estoque makes the origins of the sheer power of this vehicle immediately apparent. The location of the engine is clearly evident through the distinct division provided by two large air outlets and the additional emphasis of a central power area. Further air outlets are positioned both left and right in the guards, behind each of the front wheel arches. Together, with the division of the bonnet, these elements add emphasis to the area above the wheels, framing the front end of the Estoque like a taut 'muscle'. The permanent all-wheel drive that is typical for all Lamborghinis means that the 22 inch wheels, with their new five double-spoke design, also do their part in delivering power to the road. Here too, the Centro Stile has stuck firmly to the Lamborghini principle that form always follows function; after all, the ample cooling air flowing into the high performance driveline also has to move quickly out of the vehicle. Its proportions guarantee the Lamborghini Estoque an impressive appearance. The skilled sectioning along the flanks of the vehicle gives the body shell an incredibly 'muscular' form. Beneath the flat surfaces of the bonnet, the incredibly powerful shoulder line, a further side line rising slightly towards the rear and, finally, the equally distinct sill line all add emphasis to the flow of power from the engine to the magnificent 23 inch rear wheels. The profile is completed by the negative return of the rear end. This adds further tension to the form of the Estoque – the whole car looks coiled and ready to pounce at the drop of a hat. These sharp lines frame a fascinating interplay of surfaces across convex and concave curvatures. The Estoque clearly displays the design language of the Centro Stile Lamborghini with a distinctive elegance. 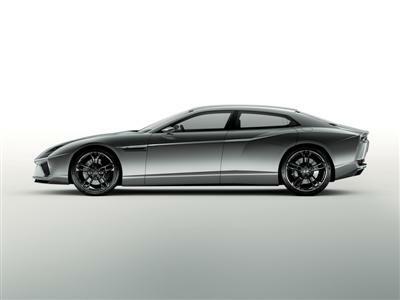 The flow of form is brought to its conclusion by the broad, even expanse of the rear end. The horizontal split provided by the flat LED light clusters and the large, mesh-covered lower air outlets bring additional emphasis to this breadth. A narrow, slightly slanted “frame” panel surrounds the whole rear aspect and further highlights its powerful elegance. Precise details, such as the hexagonal fuel caps on both sides of the vehicle, characterise the depth of the design language. The front headlamps, featuring bi-Xenon and LED technology, carry forward a theme evident in both the Reventón and the Gallardo LP 560-4 – the Y-shape of the daytime running lights. The tiny green/white/red flag adorning the front guards discreetly highlights that an automotive statement as uncompromising as this one can come from only one country on Earth – from Italy. The dominant material of the interior is highest-quality Nappa leather. The four individual seats boast sporting contours, supreme long distance comfort and extensive electrical positioning options. 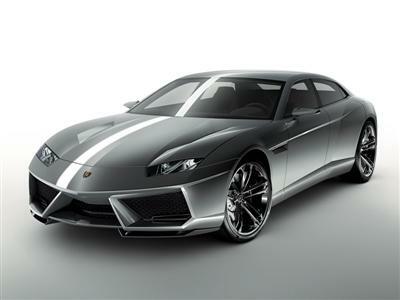 With the Estoque, the Centro Stile Lamborghini has provided further proof of its creativity and attention to detail. The design centre that opened in 2004 is a studio of creatives, designers and model makers that combines the culture and the spirit of the brand with the power of innovation and of providing a new aesthetic. The Centro Stile Lamborghini is part of the best tradition of Italian vehicle design, and is leading the way forward with the latest in working techniques. The Centro Stile is located in a 2,900 sq. 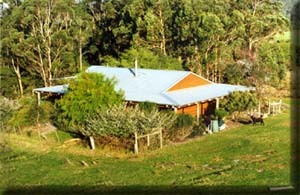 metre (31,215 sq. feet) facility, where it occupies two interconnected floors. The generously proportioned design studio is equipped with two full-size surface tables and their associated tooling and measuring equipment, while further areas house the latest in computer work stations for the design experts and a workshop for the model makers. The Centro Stile is also connected directly to the neighbouring Ufficio Tecnico – the direct link to Lamborghini’s development department ensures the rapid realisation of ideas. Speed is a key aspect for Lamborghini, for both its cars and its working processes; the Reventón was designed in the record time of less than one year. From the first sketches made either on paper or using the three-dimensional computer programme, through 1:10 or 1:4 scale models to full size models, the complete design process is organised within small, fast-moving teams. Since it was founded, the Lamborghini brand has been bringing innovative design trends to the rarefied atmosphere of the world’s most desirable automobiles, and producing vehicles with absolutely unmistakable character. Models such as the Miura and the Countach were way ahead of their time, but quickly attained the status of timeless classics. From their first appearance, every new Lamborghini is destined to become a sought-after collectors’ item. A Lamborghini is like a high performance athlete. The Lamborghini DNA is carried forward into future products at the Centro Stile, which is destined to continue to set clear design trends – the Estoque is the perfect example. The design centre on the site of the historical birthplace of all Lamborghinis guarantees the super sports cars with the bull brand will remain exclusive and challenging – and always unmistakably Italian. Other Concept Car content: here.